Red, itchy, angry bumps after shaving can happen to anyone, anywhere a razor touches the skin. Legs, face, underarms, bikini line, both men and women -- razor rash, unfortunately, is an equal-opportunity irritation. Thankfully, most culprits of those nasty red bumps can be easily remedied. Dull razors, skin cream irritants or a too-fast shave all contribute to shaving irritation, but with a few tweaks to your routine and a hefty dose of TLC, you can calm your skin and prevent those bumps from coming back. Pat aloe vera or hydrocortisone cream on irritated areas. Aloe has cooling properties that take the burn out of razor rash, while hydrocortisone cream can calm itchy bumps. Lay cool, damp tea bags over red rashes. The tannic acid found naturally in tea helps to soothe irritated skin. Use a fragrance-free lotion designed specifically for sensitive skin to keep irritated skin moisturized. The heavy fragrances, dyes and strong chemicals in some lotions can exacerbate irritated skin. 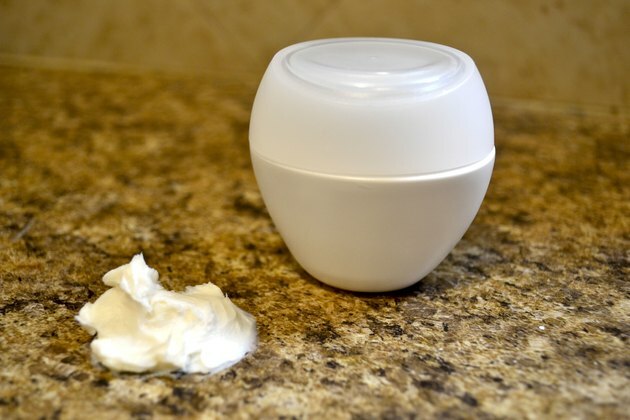 Slather on a thick, smooth shaving cream in a warm shower. Hot water can be drying, and cold water can cause goose bumps. Wait until the end of your shower or bath to shave, when your skin is softer and your pores are open. 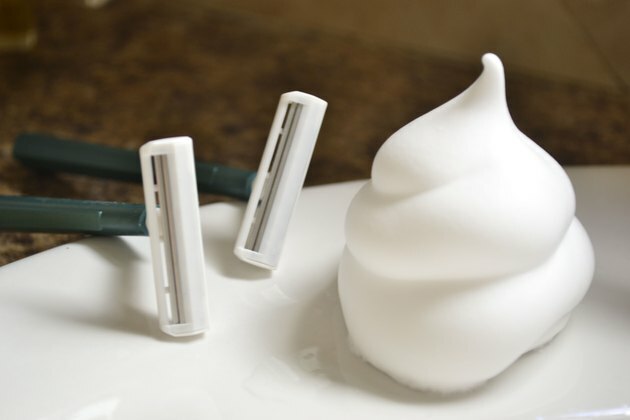 Shave with a sharp, clean blade. Dull blades tug at the hairs instead of slicing them cleanly, which can cause the hair to pull against the skin and become inflamed. 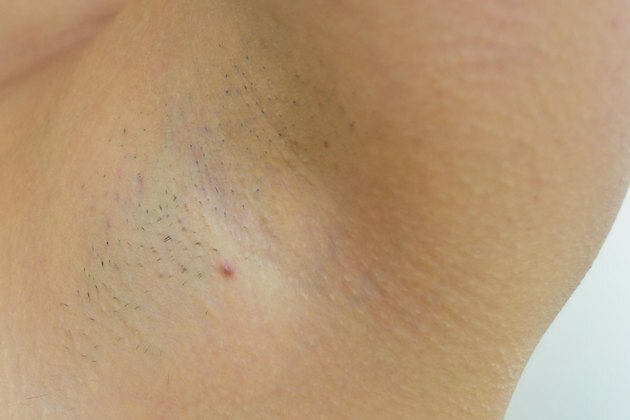 This inflammation can also lead to ingrown hairs. Try shaving with the growth of your hair, not against it. When you shave against the growth direction (grain) of your hair, your razor blade pulls the hair up and away from the skin, which can cause irritating friction at the base of each hair. If you do shave against the grain, a sharp blade and a creamy shaving lotion will help minimize tugging. Exfoliate bumpy areas once or twice a week with glycolic acid, alpha hydroxy acid or a smooth bead exfoliate. Hard exfoliates, like nut shells, can scratch your skin. Exfoliation will also help prevent bumps caused by ingrown hairs. Pat on a fragrance-free, gentle moisturizer. Pay close attention to how your skin reacts. If you feel any warmness, itching or stinging as you apply your lotion, rinse it off immediately with cool water. Aloe vera is naturally soothing and moisturizing, so you can pat it on skin that's irritated from a harsh lotion. Michelle Phan: Heal the Burn!